Shanna Hatfield and all of The Mystery of Christmas 2 authors have hit the tops of my chart this week with these Christmas cover arts. 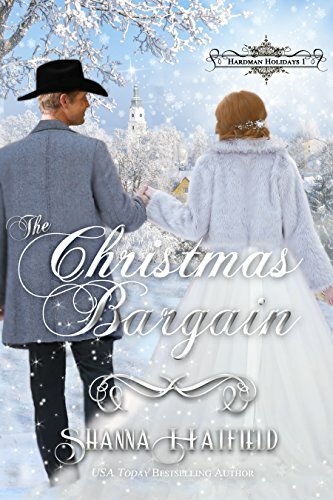 The Christmas Bargain by Shanna Hatfield has me dancing in my seat! I love all the sparklies and snow in this western frontier novel cover art. Wouldn’t you like to cuddle up and read this charming book? 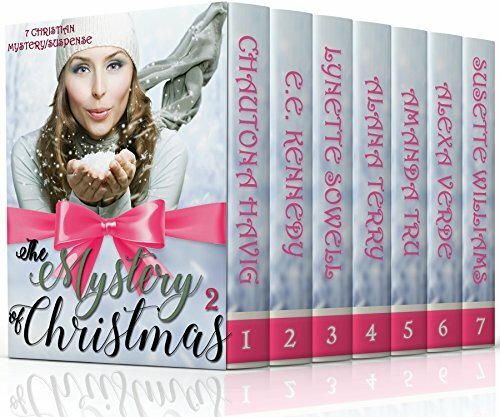 The Mystery of Christmas 2 authors: Susette Williams, Chautona Havig, E. E. Kennedy, Alana Terry, Amanda Tru, Alexa Verde, and Lynette Sowell have a great Christmas cover for their novella box set. YES I said box set! The best way to get a great deal on a bunch of books. Don’t you like the playful feel on this cover art? How about checking out these great authors this week. Are you in the mood for a western frontier or some mystery/suspense Christmas stories? Comment below. Michelle Griep: A Proud Member of the Sandwich Generation! I’m the pastrami between a slice of young adult and senior citizen bread. My youngest still lives at home while my mother resides in a retirement community. Both are needy, but more often than not, it’s my mom who ends up getting the lion’s share of my attention. And that’s a great thing when writing a novel with retired heroines. Lots of inspiration for the zany antics of Zula Hopkins, one of the main characters in Out of the Frying Pan, comes from my experiences at my mother’s senior living community. From walkers gone MIA to bingo party cat fights, there’s not a day that goes by wherein something ridiculous doesn’t happen. Don’t worry. I’ve changed the names to protect the innocent. That scene with the dumpster diving diva? Yes, I really know someone who looks forward annually to the day after Memorial Day for the best flower pickings. Those questionable culinary casseroles served up in the scene with the BBQ? You better believe I’ve choked down a few “crunchy” egg salad sandwiches. The matchmaking and busybodying are altogether too reality based. While I wouldn’t choose to fill my schedule with so many elder activities, it has come in quite handy. It would be easy to begrudge so much time spent with my mother instead of using it for writing, but honestly, no time is wasted. Every minute of life can be salvaged for story—even if you’re not a writer. Passing those stories on to the next generation, verbally or in writing, leaves a legacy that shows how you cared for someone other than yourself. I co-authored this story in particular to highlight how loveable the older generation can be despite their quirks of age, and also how capable seniors truly are to younger folks. It’s easy to discount the old. I wanted to show otherwise. Step aside Lucy and Ethel, because here comes Fern and Zula. Murder in Paradise whips life into a froth for FERN and ZULA HOPKINS. When the retirement center’s chef is found dead, the two ladies get folded in with the case. Their zany attempts to track down the killer land them in hot water with Detective JARED FLYNN. Should he be concerned about their safety—or the criminal’s? But there are deadly ingredients none of them expect. Drugs. Extortion. International cartels. And worst of all…broken hearts, especially when the Hopkins sisters’ niece KC arrives on the scene. Life at Sunset Paradise Retirement Village will never be the same. ENTER TO WIN A SIGNED BOOK BY COMMENTING BELOW AND LEAVING YOUR EMAIL. 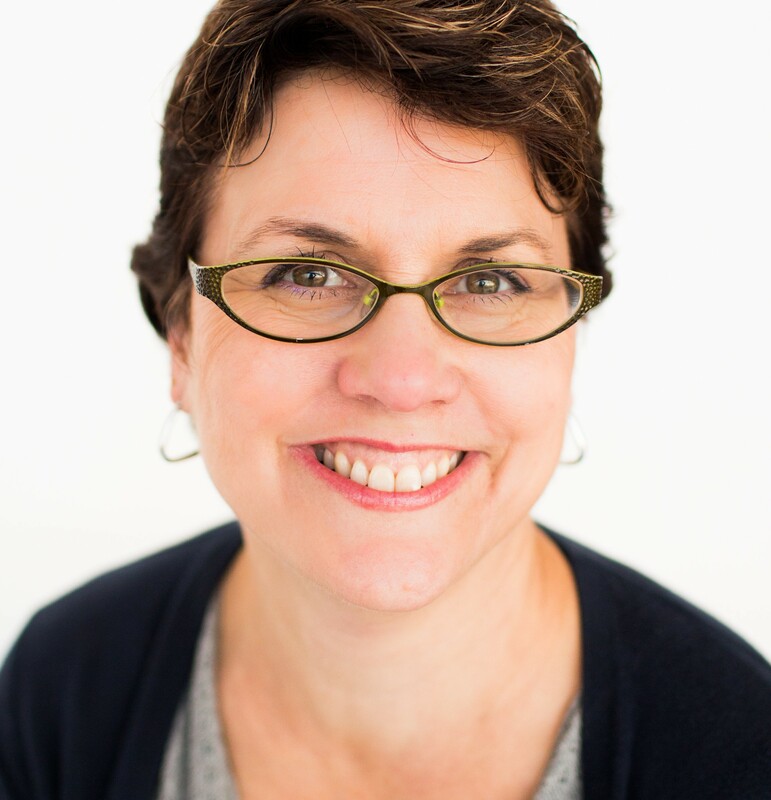 Michelle Griep’s been writing since she first discovered blank wall space and Crayolas. She resides in the frozen tundra of Minnesota, where she teaches history and writing classes for a local high school co-op. 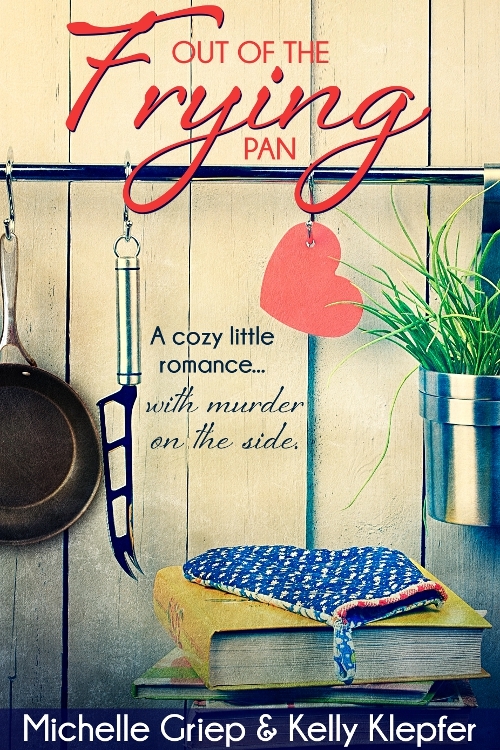 Her latest release is OUT OF THE FRYING PAN, but historical romance is her usual haunt. THE CAPTIVE HEART releases in October. Follow her escapades at www.michellegriep.com or www.writerofftheleash.blogspot.com or stalk her on Facebook, Twitter, or Pinterest. THE CAPTIVE HEART…Would you marry a murderer? BRENTWOOD’S WARD…Sherlock Holmes meets Dickens in this Regency adventure. Family History Can Be Shocking! The aunts had come to visit from Chicago with lots of great stories of their past and that of their grandparents. But there were pieces shrouded in mystery: parts of my husband’s grandfather’s life that they never managed to get out of him. The mystery writer in me couldn’t let it go when the what and why wouldn’t leave me alone. I dug deep. Hours and hours of research and cross-referencing filled lots of my time. Was it true that a great grandfather was killed by the mob? Had one of the greats been a judge in Chicago as the story had been told? What about the origins of birth? Germany, Scotland, Hungary? As if I’d stepped into one of my own stories, I began to live their lives through the scraps of newspaper articles and census records. Addresses, dates, births, deaths, they all flooded me day and night. And the story began to clear as if from a foggy knoll shifting in the morning air. Mob—maybe, but not likely. Murder, don’t know, but suicide for sure. There were tears. There were also moments of triumph when one great was discovered on the register for serving in the Civil War in a Pennsylvania Infantry. Others helped to bring the railroad to a new world back then. Some drank their life to oblivion. Some praised the Lord every day. It’s our history, dirty and beautiful.